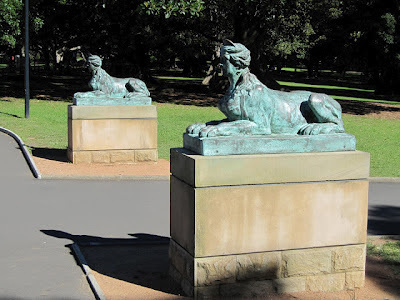 While not immediately obvious, Pagan and polytheistic themes abound in Sydney. Here are some examples. 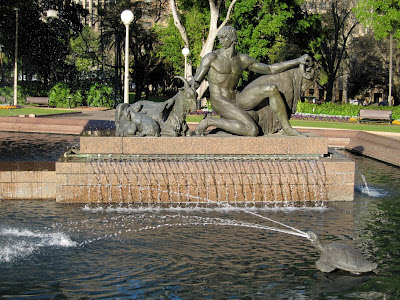 "Apollo represents the Arts (Beauty and Light). Apollo holds out his right arm as a sign of protection, and spreads his benefits over all Nature, whilst he holds the Lyre in his left hand. Apollo is the warmth which vivifies, giving life to all Nature. At the touch of his rays, men awake, trees and fields become green, the animals go out into the fields, and men go to work at dawn. The ancient Pliny adored the sun, symbol of Life. 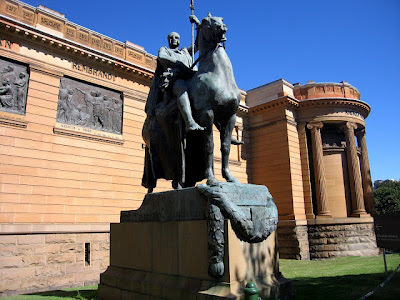 It is on this account that I wished this figure to be the chief one in the memorial. 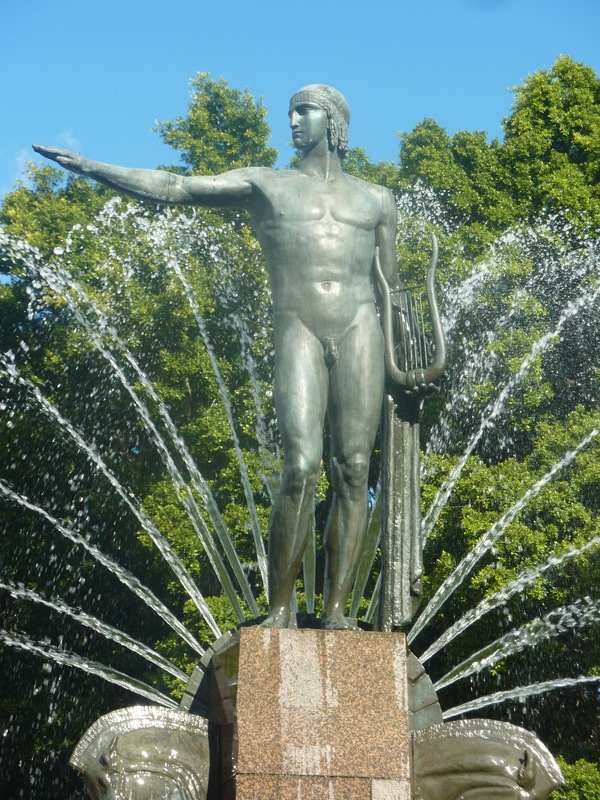 At Apollo's feet the star of day is indicated by a semicircle, of which the rays spread out in jets of light (the rising sun). 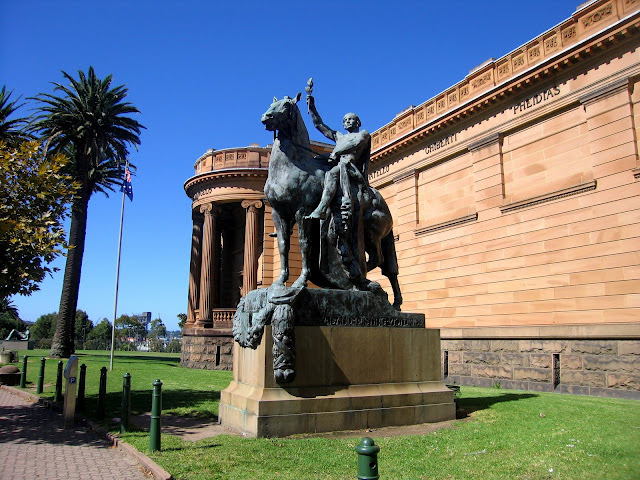 The horses' heads represent the horses of Apollo's chariot. Out of their nostrils the water will fall into the first basin, to fall from there into the second, and run away into the large basin. 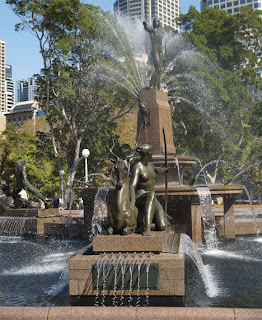 For more on the Archibald Fountain see cityofsydney.nsw.gov.au and dictionaryofsydney.org. General Post Office, No 1 Martin Place (central Sydney) – depicts sculptures, by Giovanni Fontana, of Queen Victoria (named after the Roman Goddess of the same name), crowned with a laurel wreath held by heralds of fame (or Fama). 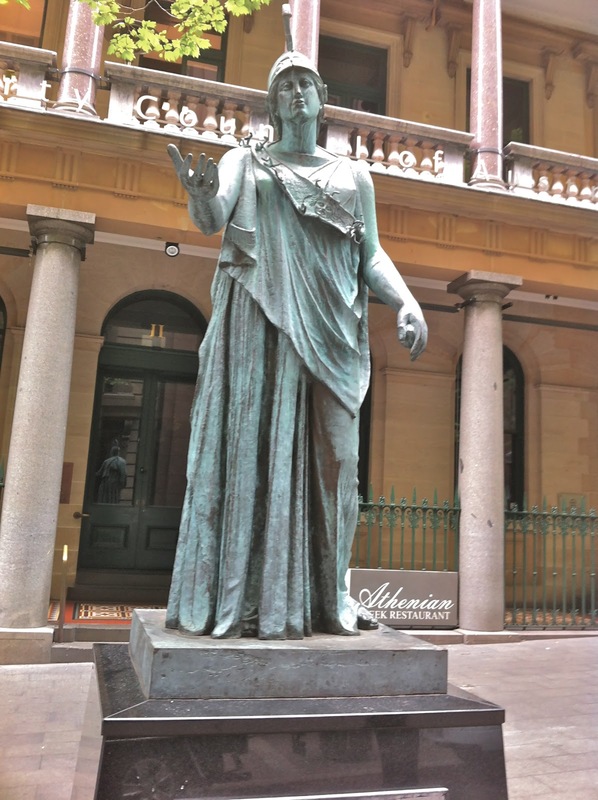 At the base of the statue of Victoria is Britannia (who looks like Minerva) and a representation of the State of NSW (who looks like Ceres). 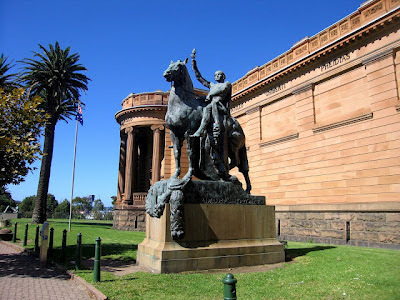 The building also features reliefs of Cupid, Mercury’s staff (the caduceus), Neptune’s trident and images of people representing the diversity of the British empire in the late 19th century. 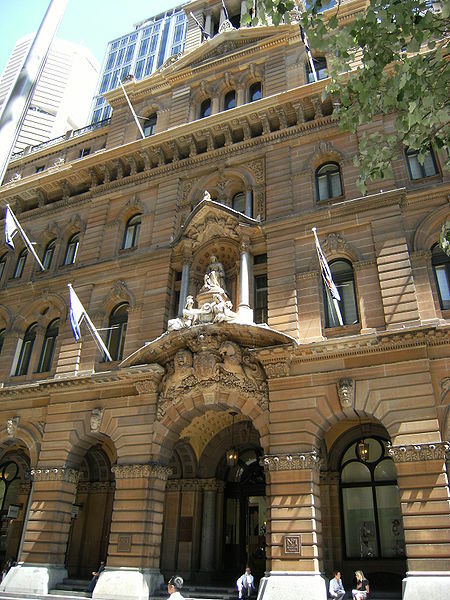 The building was designed by James Barnet and completed in 1888. 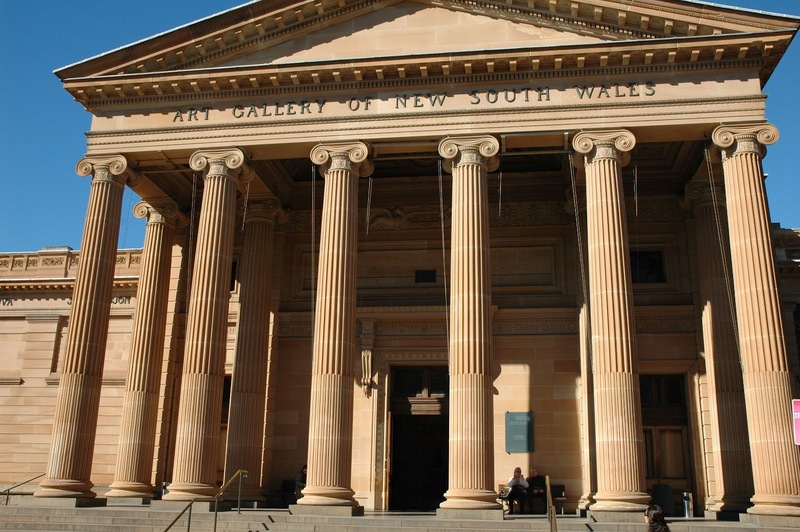 It was sold by the government in 1996 and now houses shops, restaurants and a hotel. 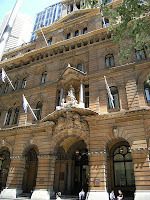 For more on the General Post Office building see Orr K, "Sydney General Post Office: A Metaphor for Australian Federation" at www.limina.arts.uwa.edu.au. 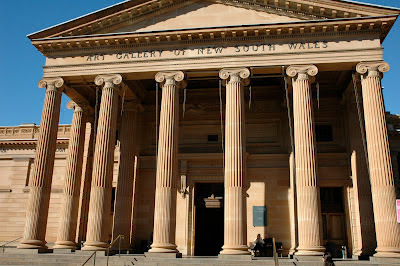 Art Gallery of NSW, the Domain (Sydney) – the front of the building, designed by Walter Liberty Vernon and completed in 1897, is reminiscent of a Greco-Roman temple and is flanked by two Paganesque statues by Gilbert Bayes: “Offerings of Peace” and “Offerings of War” (unveiled in 1926 – the Offerings of War reads "That our house may stand forever / and that justice and mercy grow." War holds a staff topped by a figure of Winged Victory. He also holds a bundle of swords and broken spear shafts. 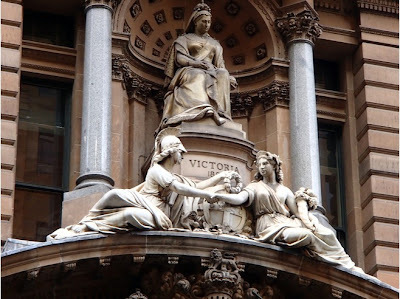 The inscription beneath the Offerings of Peace reads "The real and lasting victories / are those of peace and not of war." 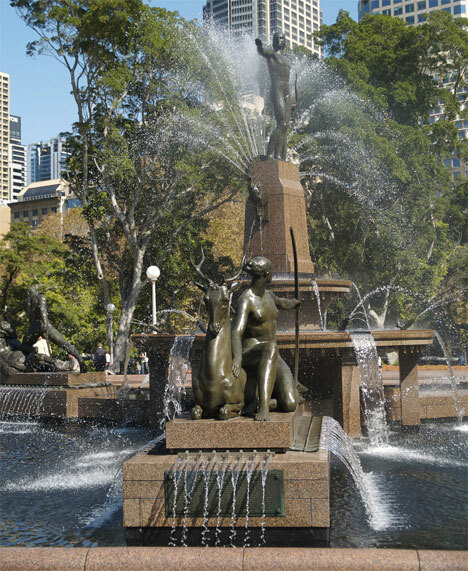 Peace offers the Arts and Plenty. 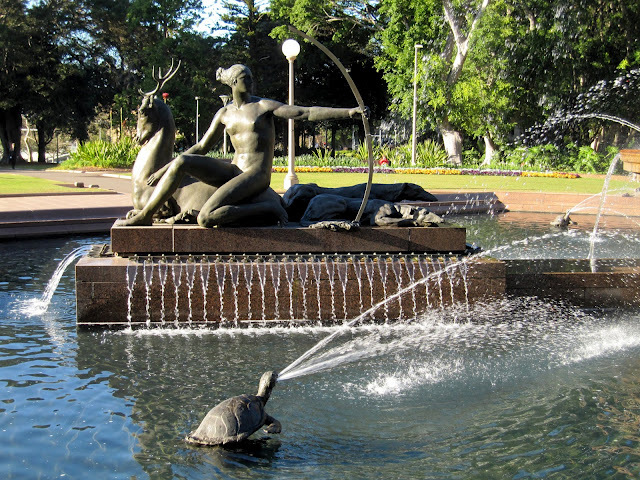 These are represented by Greek comic and tragic masks, a lyre and some fruit). Immediately across the street from the Art Gallery are statues of two sphinxes commissioned by the Friends of the Botanic Gardens in the 1990s. State Library of NSW, Sydney – Walter Liberty Vernon also designed the Mitchell wing of the State Library of NSW (completed in 1910 and named after the benefactor of the wing, David Scott Mitchell – an affluent book collector). 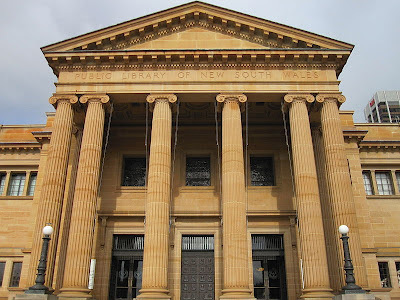 The building exterior also mirrors the style of a Greco-Roman temple. 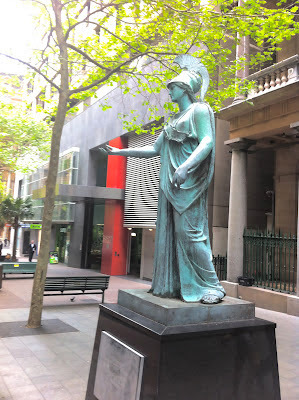 Statue of Athena, Barrack St (central Sydney) – this is a copy of a 4th century BCE bronze statue of the Piraeus Athena. 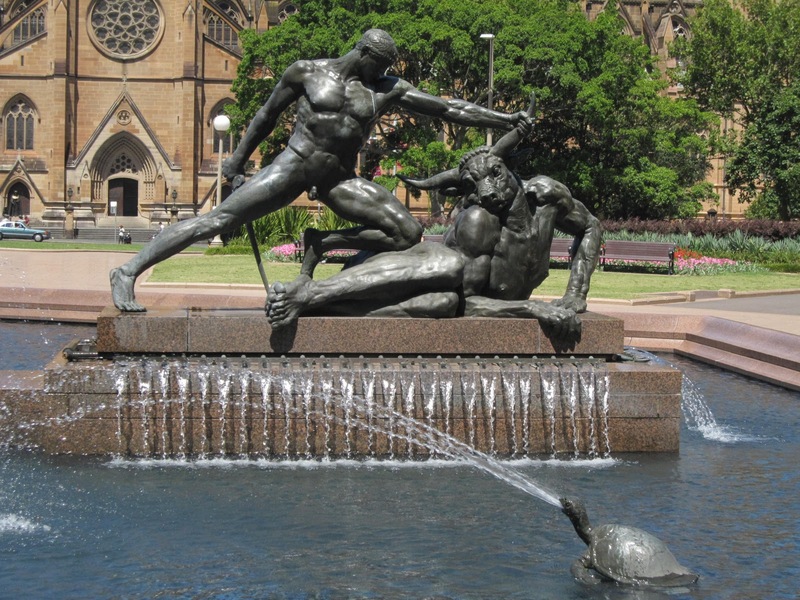 It was given to the city of Sydney by the Mayor of Athens in celebration of the Olympic games held in Sydney in 2000. This billboard at Town Hall train station advertises the natural beauty of New Zealand within an explicitly polytheistic context. 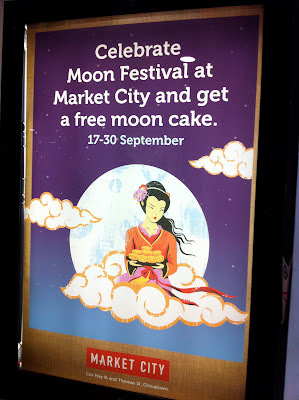 This poster at Central train station, advertising moon festival celebrations, includes an image of the Chinese lunar Goddess Chang'e. Shopkeeper's shrine – this is a shrine located in a shop in Chatswood, a suburb of Sydney where around half of the local population is Asian, most of that number coming from a Chinese or Korean background. 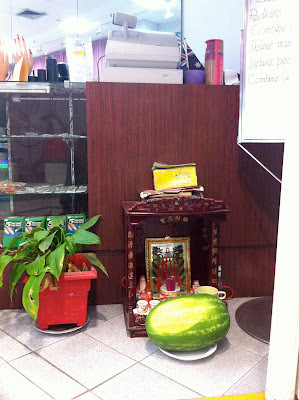 It is not uncommon to see shrines like this in Chinese shops and restaurants. The fact that this shrine is on the floor and near the door suggests that it is a shrine to Tu Di Gong, a Chinese God associated with wealth and well being. 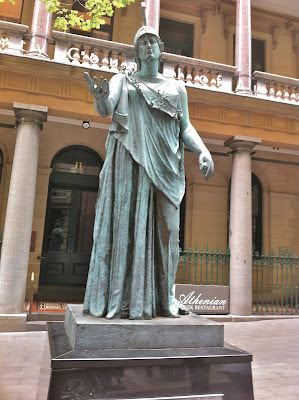 If so, Tu Di Gong is probably represented by the statue with the long beard. 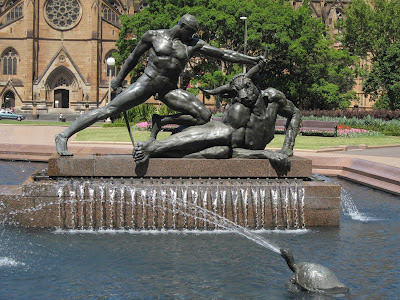 I am not sure who the other statue is meant to represent. For more on Chinese shop shrines see this article at www.downtownexpress.com.